Amanda was introduced to CrossFit by her older brother and had her first experience in New Orleans where she was serving for AmeriCorps. Amanda played sports (basketball and soccer) through high school, but had become bored with just running for the past 3 years. She immediately fell in love with the challenge of CrossFit and the feeling of being apart of a community again. When she moved back to the Bay Area, she found herself at the doors of CrossFit San Leandro. It did not take long for her to feel welcome in their intimate space at the time. 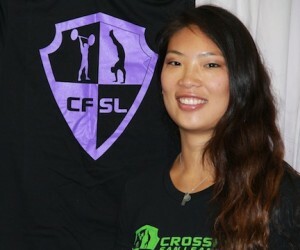 Amanda has been with CFSL for almost 5 years and has been a coach for 4 years. In that time, she has not only seen the community grow by times 20, she has also grown as a person. Amanda has a passion for teaching the Olympic lifts and gymnastic skills. She has coached youth basketball teams, been a camp counselor, and a supervisor at a school for emotionally disturbed children. She is also one of CFSL’s crossfit kids coaches.